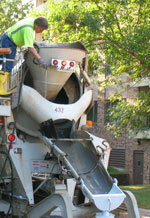 A-1 Truck Sales and Equipment is pleased to offer you three videos covering our award winning chute washout sytem. The above content requires scripting to be enabled. A brief description of our system, the history of its creation by employees of AVR, Inc. and an overview of the need for a wash-water collection system. 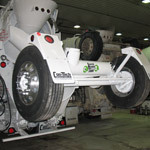 A look at the system in operation and some simple tips for getting the most out of your Booster Washout Tank®. 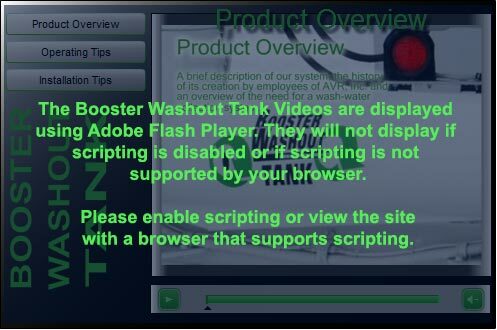 This video covers the basics of installing the Booster Washout Tank® kit. Please refer to the installation manual provided with your kit for more detailed information on installing the Booster Washout Tank® system. WARNING: IMPROPER INSTALLATION COULD CAUSE SERIOUS INJURY OR DAMAGE. BEFORE COMMENCING INSTALLATION, CAREFULLY REVIEW AND FOLLOW THE WRITTEN INSTALLATION INSTRUCTIONS. ONCE INSTALLED, PERIODICALLY CHECK THE SECURITY OF THE INSTALLATION. Call us today for more information at 952-432-7132.